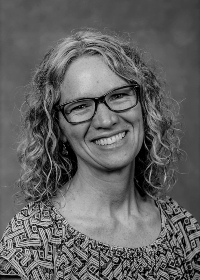 Dr. Duram's research interests are local food systems, alternative agriculture, environmental public participation, and campus sustainability. Duram, L.A. 2018. Environmental Geography: People and the Environment. Book Series: Understanding Our World. ABC-CLIO:Santa Barbara, CA. 344 pages. Duram, L.A., Contributing Editor, and K. Kennedy-White. 2013. America Goes Green: An Encyclopedia of Eco-Friendly Culture in the United States. ABC-CLIO: SantaBarbara, CA. 3 Volumes, 1297 pages. Duram, L.A., Editor, 2011. Encyclopedia of Organic, Sustainable and Local Food. Bison Books (University of Nebraska Press). 462 pages. Paperback. Duram, L.A., Editor, 2010. 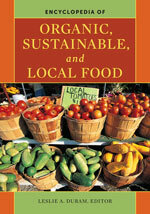 Encyclopedia of Organic, Sustainable and Local Food. Greenwood Press (Praeger), 462 pages. Hardbound. Duram, L.A. 2005. 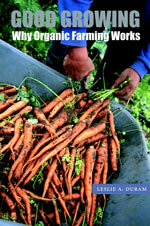 Good Growing: Why Organic Farming Works. University of Nebraska Press, 250 pages. Chitiyo, P. and L.A. Duram. 2017. Key Characteristics of Alternative Agriculture in Zimbabwe. 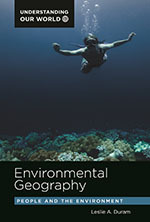 Journal of Geography and Earth Sciences. 5(1):41-49. Marshall, A.C. and L.A. Duram. 2017. Factors Influencing Local Stakeholders’ Perceptions of Tisza River Basin Management: The Role of Employment Sector and Education. Environmental Science & Policy 77(2017): 69-76. Sanabria, Julia and L.A. Duram. 2017. Climate Change and Health: Risk Awareness can Improve Patient Care. Illinois Pediatrician. 35 (2): 6-7. Bonney, M. and L.A. Duram. 2016. Applying AASHE STARS to Examine Geography’s “Sense of Place” in Sustainability Education. Journal of Sustainability Education 11:2151-7452. Duram, L.A., and S. Klein. 2015. University Food Gardens: A Unifying Place for Higher Education Sustainability. International Journal of Innovation and Sustainable Development 9 (3/4): 282-302. Duram, L.A. and L. Williams. 2015. Growing a Student Organic Garden within the Context of University Sustainability Initiatives. International Journal of Sustainability in Higher Education 16 (1): 3-15. Duram, L.A. and A. Mead. 2013. Exploring Linkages between Domestic Fair Trade and Consumer Food Co-operatives in the United States. Renewable Agriculture and Food Systems 29(2): 151-160. Duram L.A. and M. Cawley. 2012. ‘Local’ to Where? The Construction of ‘Local’ Cuisine in Restaurants in the West of Ireland. The Open Journal of Geography 5:16-25. Association of American Geographers, Rural Geography Specialty Group. Donald Q. Innis Award for Excellence in Food and Agricultural Research. 2017. 2015 SIU University Women’s Professional Advancement (UWPA) Mentorship Award. 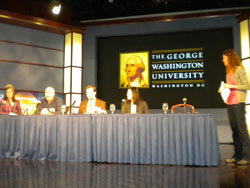 Delegate from Ireland to the Fulbright Commission, European Meeting. 56th Annual Berlin Seminar for Fulbright Scholars. Berlin, Germany, March 21-25, 2010. Best Paper Award: Balanced Development Theme. Irish Social Science Platform. Paper title: “Linking Research and Policy: Assessing a Framework for Organic Agricultural Support in Ireland.” 1-2 December, 2009. John Fraser Hart Award for Research Excellence. Association of American Geographers. 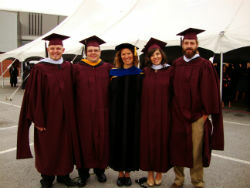 Rural Geography Specialty Group, 2008. Renzaglia, K., L.A. Duram, D. Gibson, J. Green, and M. Lydy. 2018. “Master Teaching Fellowships in Environmental Sustainability.” National Science Foundation, Robert Noyce Teacher Training Program. NSF-17-541 (Request: $2,196,757). Duram, L.A. 2016. “Universities Build Environments and Neighbors: UBEAN.” US Department of Agriculture, Agricultural Marketing Service, 2015 Local Food Promotion Program. USDA-AMS-LFPP-2015 Grant. ($130,899). Duram, L.A. 2015. “Outreach and Education Coordinator for LOGIC and the Center for Sustainable Farming.” SIU Green Fund. Sustainability Award. ($18,992). Williams, L and L.A. Duram. 2012-15. “Growing LOGIC: Creating Long-Term, Sustainable Organic and Permaculture Gardens for the SIU Community.” SIU Green Fund. Sustainability Award. ($88,054). Duram, L.A. 2009-10. 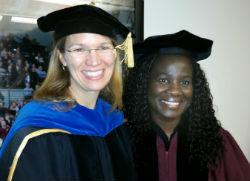 “Geography and Organic Farming in Ireland.” Research portion of Fulbright Scholar Grant. Council for International Exchange of Scholars. US State Department. Based at National University Ireland at Galway. (€40,000). 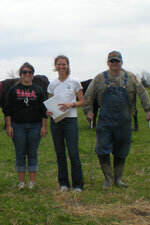 Dr. Duram's Organic Farming class at Lick Creek Farms.